Aren’t the faucets sold in hardware stores the same faucets plumbers supply? Some of the faucets sold at warehouse “big box” stores are not the same grade or quality; even the better known name brands make lower grade products with plastic internal parts. Often you will find a big difference between a $59 faucet and the $109 faucet, even if though they may look the same. The old adage, “You get what you pay for.” is still as true as ever. Do you work on Air Conditioning or Furnace systems? Do you work on commercial properties? We do! All the common repairs, water lines, shut off valves, water heaters (often called hot water heaters) water softeners, filtration systems, toilets, sinks, faucets, all leaks, and anything else that may come up! Yes, every city requires a plumbing permit for a water heater installation (even if it is just a replacement). We will take care of applying for the permit and sending it to you once we receive the issued permit. 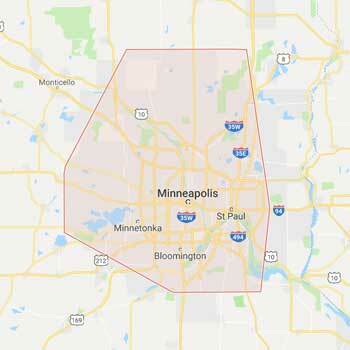 *Saint Paul and New Brighton require us, as the contractor, to schedule inspections. Once we have received these permits, we will call you to get available dates/times and coordinate with the city inspector. Don’t manufacturers guarantee their products? Why would I need a plumber’s warranty? It is standard practice for the customer to call the manufacturer when a product is defective. Most manufacturers warranty their product, but will not cover a plumber’s labor costs. For example, if you have a defective faucet, the manufacturer may ask you to return the faucet before they will issue a replacement; or they may send you a part to fix the faucet. It then becomes your responsibility to remove/ install, or fix your faucet; or pay a local plumber to do it for you. The manufacturer may also decide to send a representative, usually a local contractor, to resolve the problem. The response time for the contractor could be 2- 7 business days, and in the meantime, you are left without a working faucet. The install warranty, provided by your plumber, assures you that your product will be repaired or replaced by professionals. This warranty also applies to other plumbing fixtures in your home, such as your water heater. In some situations, the warranty will cover a replacement of the product within 24 hours. The plumbers will also work directly with the manufacturers so you don’t have to! The most common cause of smelly water is anaerobic bacteria that exist in some water and react with sulfur and the magnesium and aluminum sacrificial anodes that come with most water heaters to produce hydrogen sulfide gas, making the classic rotten egg odor. How long will it take for the plumber to install my water heater? Average installation time ranges from an hour and a half to two and a half hours from start to finish. It may take longer depending upon the complexity of the venting or piping. We would always say to be prepared to be home for 4 hours, but the plumber will give you a better idea before he starts the project. Depending on our workload, we are usually able to set up same day or next-day appointments for service work and water heater installations. If you have a bigger project in mind, we will need a few days’ notice depending on the scope of the work. I have a plumbing issue I need fixed; can I get a price over the phone? We do offer phone estimates for water heaters!!! Every house and every project is unique and we do not want to make pricing promises that we are unable to keep. For this reason, we do not offer estimates over the phone for most jobs. However, our dispatch team can schedule you for a service call so that we can send one of our plumbers out to properly assess the situation and give you a final price on any plumbing project. We charge $59.00 for a service call but will waive that fee if we do any work or repairs while onsite and only charge the final price given by your plumber. I need a part or a tool for a plumbing project, can I buy one from you? No, we do not sell any tools or parts. I’m having water pressure issues in my house after my water heater was installed, what is going on? More often then not it is the aerator on the end of the faucet. The aerator can be removed and cleaned. To do that you unscrew it with your hand and you will see the debris when you get it off. Rinse it out and reinstall. If it more then hand tight, be carful if you need tools to remove it, it is easier damaged. Is Champion Plumbing licensed, bonded and insured in the state of Minnesota? A garbage disposals primary use is to dispose of food, however, there are items that can damage the device. Here are a couple of things you must know to keep your device in peak condition: Use cold water: When disposing your unwanted food, make sure you run cold water before, during and after turning the disposal on. It’s suggested to run water at least 10 seconds before and after. Hot water could damage the disposal’s interior blades. Fruit peels are a good thing: To take away unwanted smells, feel free to drop fruit peels down your disposal. Run cold water, and use citrus peels (oranges, pears, apples, etc.) to not only give your sink a nice fragrance but also help fight off the growth of bacteria. Bones, fat and meat grease should not go down the disposal. These materials can damage the interior of a disposal and cost you hundreds of dollars in repair fees (never try to fix a disposal without a professional). In addition, make sure your disposal receives proper maintenance from a licensed professional. It is good to have a professional technician come once a year for preventative care. Feel free to call us for additional garbage disposal care tips. What causes low water pressure, and what can I do NOW? There are several things that could cause low water pressure, including a partially closed or malfunctioning shut off valve, a crimped water line, or mineral deposits that gather in older pipes. If your neighbors have strong water pressure, the problem is most likely between the water meter and your home. A Champion Plumbing technician will be able to identify the problem and explain your options. What do I do if I have a burst water pipe? First and foremost, shut off the main water line to your home. This should immediately stop any further damage. Try to identify the exact location of the leak. You may be able to find a water shut off valve that is closer to the damaged area and you could restore water to the rest of you home. Next, to help reduce potential mold damage, extract as much water as possible. DO NOT use a standard vacuum for water. A shop vac, sponges or rags are necessary. If area is carpeted, pull back carpet and pad. Try to get a strong air flow on both sides of the carpet. Call Champion Plumbing once you feel the damage is contained. What do you charge per hour? We do not charge per hour, we charge per job. Once onsite, our plumber will give you a final price after assessing the work that needs to be done. We charge $59.00 for a service call but will waive that fee if we do any work or repairs while onsite and only charge the final price given by your plumber. Why is there a sewer smell in my home? The most common cause of a sewer smell in the house is a dry P-Trap, a curved pipe that is intended to be full of water and acts as a seal to hold out sewer gas. Unused showers or utility floor drains are often the culprits due to evaporation of the water in the trap. Fill all drains with a gallon of water. This should solve the problem. If it persists, call Champion Plumbing for a more thorough diagnosis. Champion Plumbing is dedicated to excellent customer service, high quality of work, and competitive pricing.